Test and inspection capabilities at SMART Microsystems play an important role in the development of processes and testing of microsystem package assemblies for our customers. By using Environmental Life Testing and Test and Inspection in conjunction with a Test Early-Test Often approach in the product development cycle, weaknesses in the design are found early, before too much value is added to the part. Dicing is the process in which semiconductor wafers such as MEMS and IC’s are singulated into individual die before package assembly. This is an automated process to ensure precision and accuracy. Depending on the substrate material and thickness, we use different dicing blade thicknesses and materials to saw wafers. Our dicing services include wafer inspection and die sorting if required. Diced wafers can be shipped on the tape hoop, or sorted into waffle pack or Gel-pak. Die attach is a critical step in the packaging of microsystems and MEMS sensors that can impact other packaging and assembly processes. For example, accuracy and repeatability requirements for die placement and die height can affect other package assembly processes such as wire bonding as well as the adhesive and encapsulation materials used. The die attach capabilities and expertise at SMART Microsystems support the process development, testing, and manufacturing of sub-assemblies designed by our customers allowing them to quickly realize a microelectronic package assembly solution for their products. 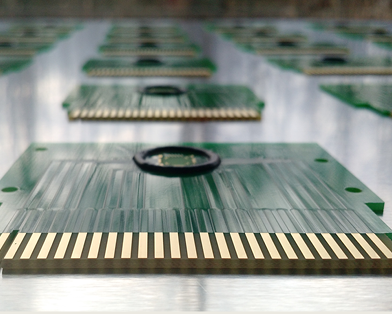 Wire bonding is a key manufacturing process for microelectronics and MEMS sensor products. The core wire bonding capabilities and expertise at SMART Microsystems support process development, testing, and manufacturing of sub-assemblies designed by our customers. Wire bonding processes are flexible and robust, allowing our customers to quickly realize a microelectronic package assembly solution for their products. Encapsulation of microsystems is a sophisticated process requiring understanding of the encapsulant materials and their interactions with die surfaces, package substrates and their related processes, as well as the physical environment in which the packaged device will be exposed. The encapsulation capabilities and expertise at SMART Microsystems support the process development, testing, and manufacturing of sub-assemblies designed by our customers allowing them to quickly realize a microelectronic package assembly solution for their products. 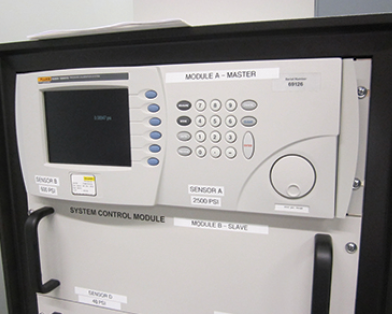 SMART Microsystems’ environmental life testing identifies reliability issues early in your product development. Our contract testing laboratory works directly with you to provide testing solutions that help ensure product quality and reliability. As part of your turn-key product solution, reliability study, or on an as-needed basis for overflow/bandwidth, SMART Microsystems can solve your issues before they become a problem in the field.